Check out this selection of creative mousepads guaranteed to be a little off the wall and off the beaten trail. See if one of them appeals to you. Or do your own search for a mousepad that says more about who you are and can cheer you up during days that just could have gone better. Enjoy! 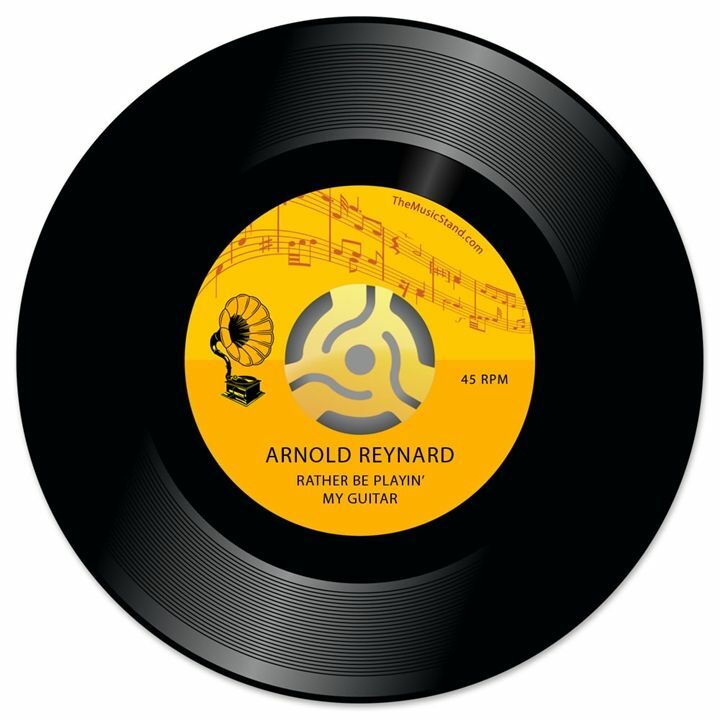 The personalized 45-record mouspad from The Music Stand looks like an old 45 but you don’t need to have grown up with vinyl records to appreciate it. Customize it with your favorite band and song or come up with whatever you want. Here’s one for those who love to coordinate. 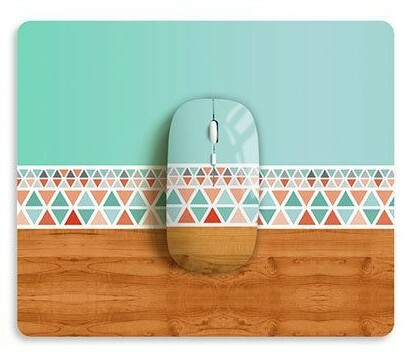 The trendy design on the Aztec Mousepad from Darkoolart on Etsy is mirrored on the accompanying mouse. You can be extra OCD and align the pattern on each. Go Go Godzilla! Fans of the classic monster will get a kick out of this graphicGodzilla Retro Graphic Mousepad available on Zazzle. 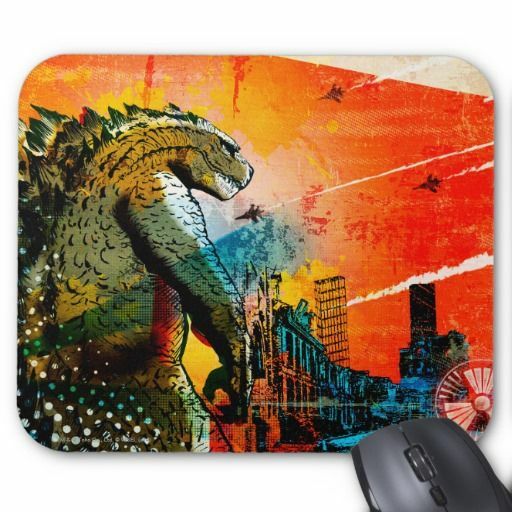 With pops of eye catching color and an image of Tokyo’s favorite terror, this mousepad screams fun. 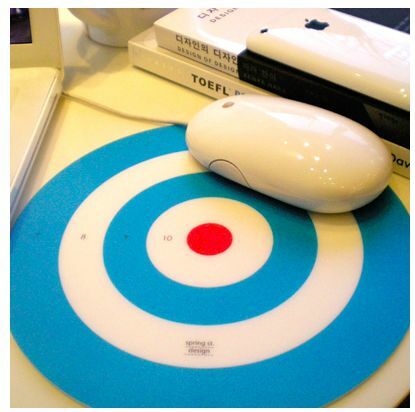 When you are ready to take a break from your busy day, this Dart Mousepad from MochiThings doubles as a dartboard. 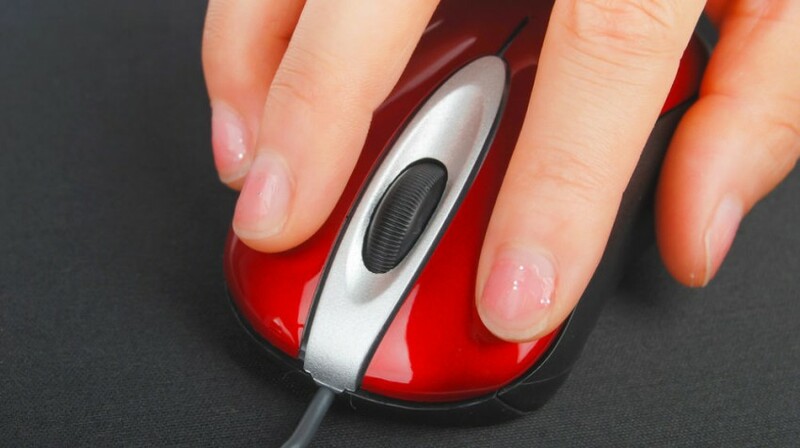 Slip it out from under your mouse and start a friendly game with coworkers. 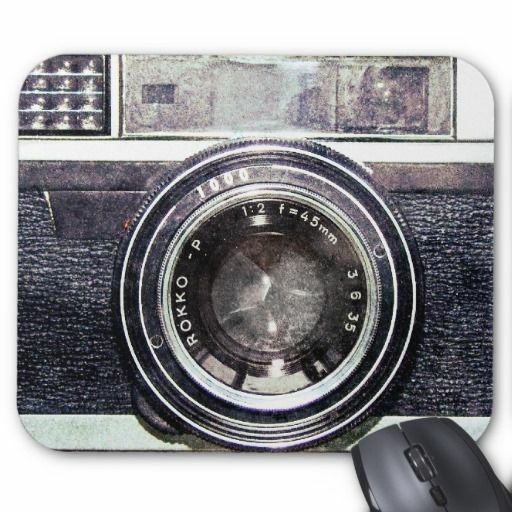 The artwork featured on this Old Black Camera Mousepad available on Zazzle looks just like a vintage camera. It’s perfect for photography enthusiasts as well as those with an appreciation for all things retro. 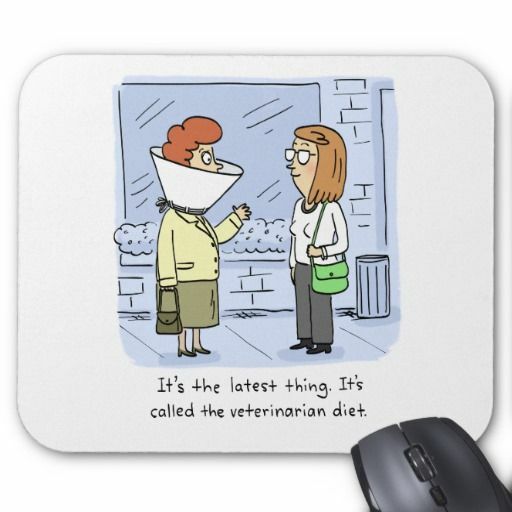 This Shoebox Veterinarian Diet Mousepad, also available from Zazzle, has a sense of humor, displaying a witty one-panel comic. Show this one to your co workers and the whole office will get a laugh. 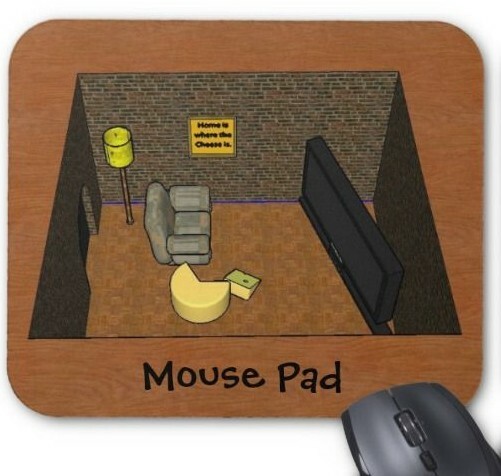 Instead of a mousepad take a look at this Computer MouseRug from Vat 19. 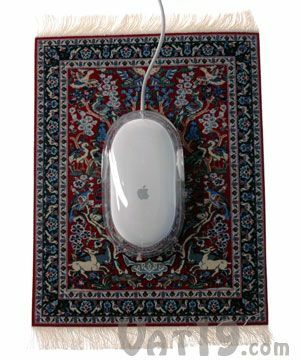 Yep, a mouse rug. Seven million yarn-dyed nylon fibers go into making one of these beauties. How’s that for high thread count? 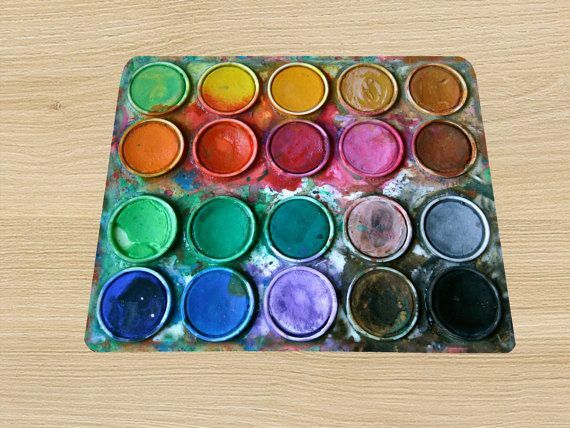 The image on thisPaintbox Water Color mousepad from creator PepsiCarola at Etsy looks like messy fun. You can add a little creative flair to your desk and display your love for watercolor all at the same time. It’s a Mouse Pad! Get it? At this point you’re either laughing or rolling your eyes. If your reaction was the former, then take a look at this design by member Jaycodrew at Zazzle that makes light of its function but takes its puns seriously. Show your love for barnyard fowl and do it with pride. 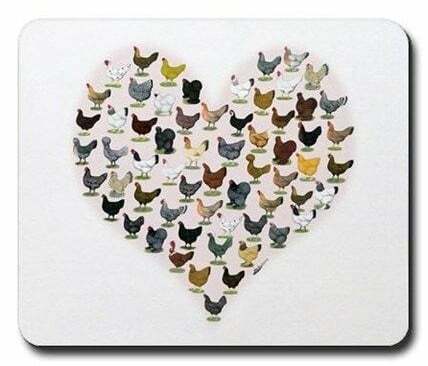 This Chicken Heart Mousepad by designer Diane Jacky available at CafePress is a fun twist on the classic chicken motif. It’s just fun and happy! If you love golf then you should take a look at this Golf Ball Mouse and Mousepad available from Amazon. 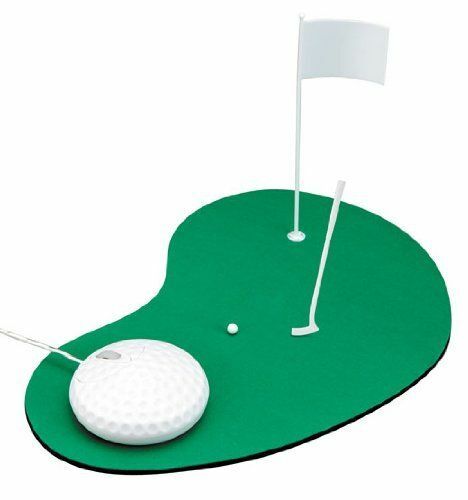 A golf ball shaped mouse sits atop a mousepad turned golf course. This set comes complete with flag and mini club. Not everyone appreciates the classic Jane Austen novel, but you do! 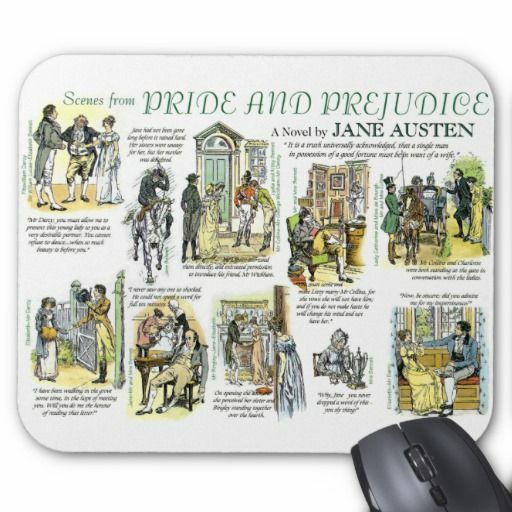 The Scenes from Pride and Prejudice Mousepad available from Zazzle features illustrated scenes for the novel reading geek in you. 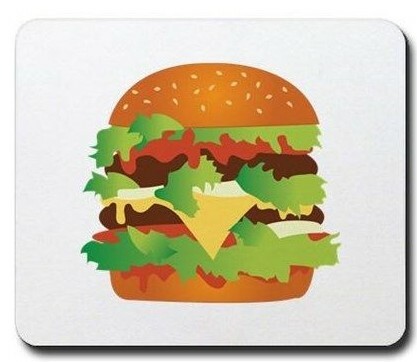 A Cheeseburger Mousepad. Classic. Dream big while looking at this artistic creation from designer Windmill at CafePress featuring a double-decker burger bursting with toppings and oozing, gooey cheese. Is it time for lunch already? There is something magical about jumping into a pile of leaves as a kid and the Fall Leaf Mousepad from MochiThings is reminiscent of that feeling. 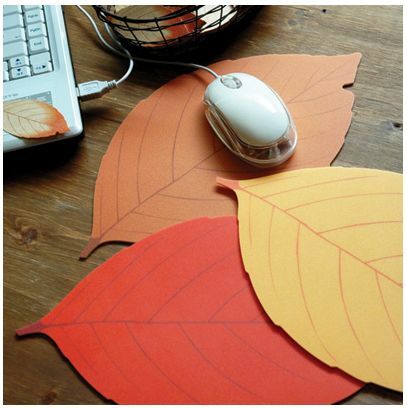 Featuring warm fall colors and cut into a leaf shape, his mousepad might leave you full of fond memories. There is just something about food-themed items that makes a person smile. 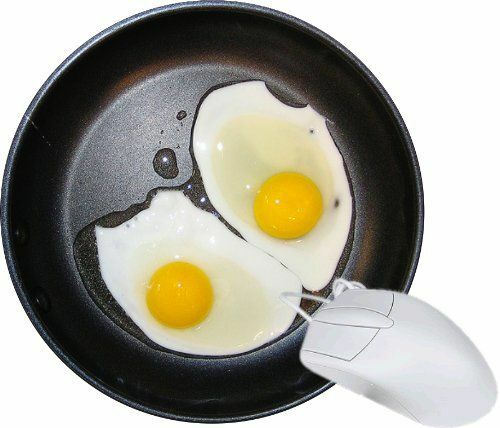 Bright, sunny eggs stare back at you from this breakfast-inspired Sunny Side Up Eggs Mousepad from Rikki Knight LLC. Be careful not to burn yourself! 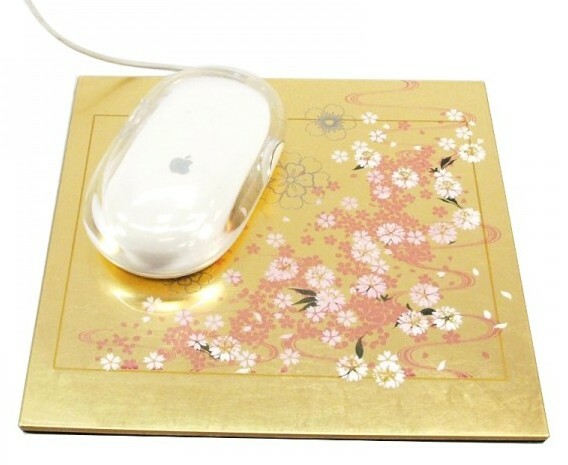 The Sakura Gold Mousepad from CasaBento is shiny and inspired by Japanese design. Sakura blossoms grace the golden surface of this desk accessory adding a touch of elegance to your day. 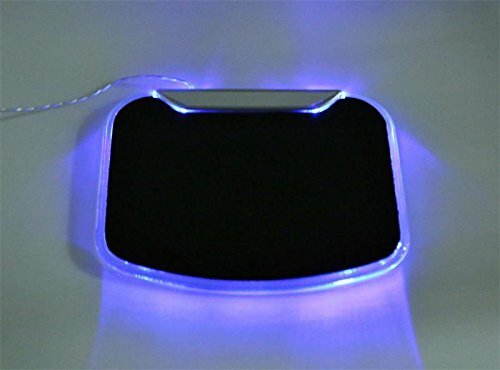 You might feel a bit like a computer hacker with this LED Lighted Mousepad available from Yeesn on Amazon. Or maybe it gives you more of a rave party feeling. Either way, it’s got a coolness factor that can’t be denied. It’s just so cute! 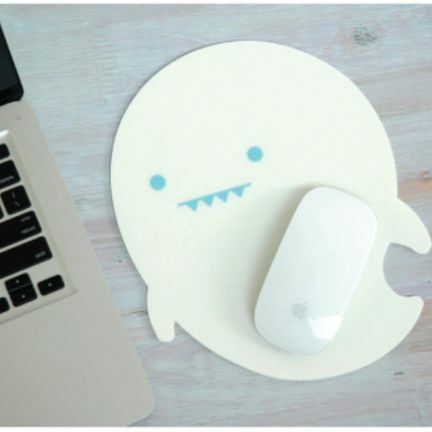 The Ghost Mousepad from MochiThings may look like something out of a Halloween story but it’s too adorable to be scary. It can haunt your desk and brighten your mood all at the same time. It’s a calculator. It’s a mousepad. It’s two things in one! 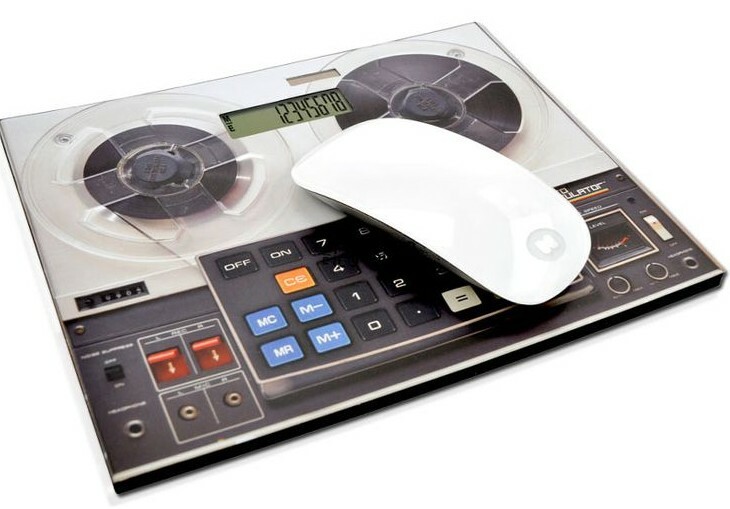 The image on this Retro Calculator Mousepad frm GagGifts.com will take you back in time and yet it contains a functional calculator. This is one that will keep your co-workers guessing. 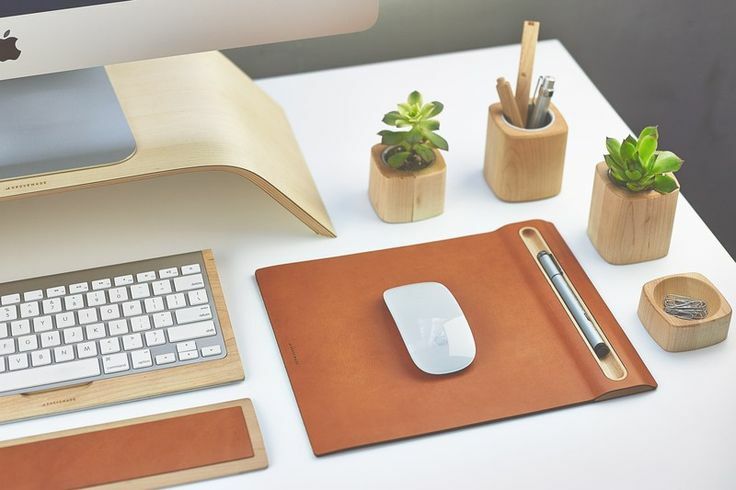 For those with more high-end tastes, this Maple Mousepad from Grovemade offers both form and function. Its tanned leather surface also contains a natural maple wood tray to hold your favorite pen. Hopefully you found these 20 mousepads above the ordinary office fare. Think about adding a little fun to your day, lift your spirits, and give yourself some inspiration with a creative mousepad of your own.